MeeVee is a new beta product for connecting people with television listings. MeeVee offers an interactive TV Guide that allows you to personalize the site to your specific television setup and channel and programming listings. MeeVee provides basic programming details but also offers a number of bells and whistles which include preview clips, slide shows and high definition video desktop alerts called MeeVCasts. MeeVee search-able TV listings enable you find all your favorite television shows. MeeVee also has some interesting video search capabilities with includes a patent that provides search results for video content that users might like. Once you have found your favorite TV shows you can add them to an area in the site called "My Planner" which lays out a potential viewing schedule. I have attached a screen-shot of the general MeeVee portal interface. 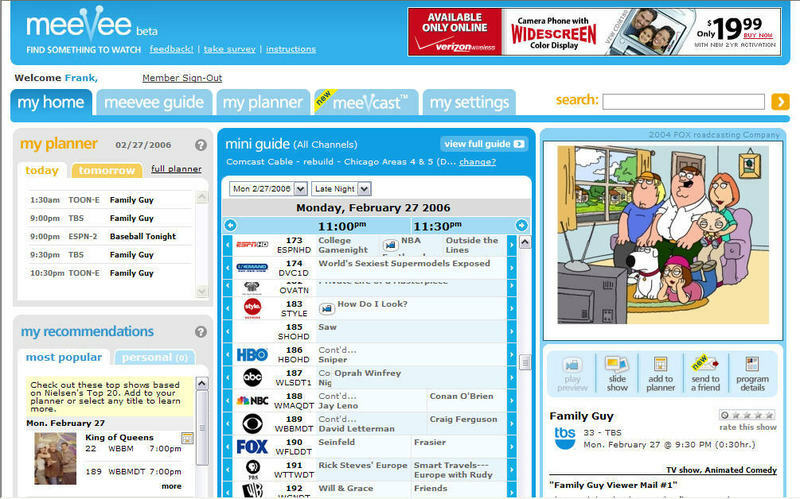 According to a recent report by Red Herring, MeeVee received $6.5 million of additional funding to help it continue its quest to offer the most personalized TV guide online. MeeVee is partnering to power the TV sections of online newspaper sites and others which should help spice up the sites and extend MeeVee brand recognition. It will be interesting to see if MeeVee decides to compete or partner with TiVo and other DVR producers which offer on screen television listings. 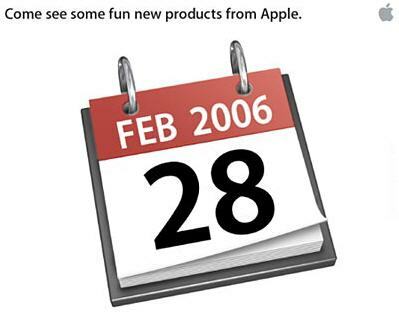 What Will Apple Unleash Next? 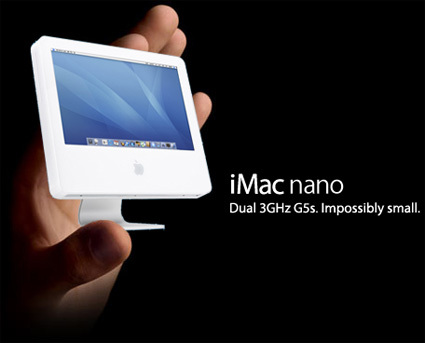 On the eve of another Apple event or should I say announcement day, let me first reflect on how much I have enjoyed using my current iPod nano since it will be only a few hours until Steve Jobs unleashes a new Apple product and device envy sets in. 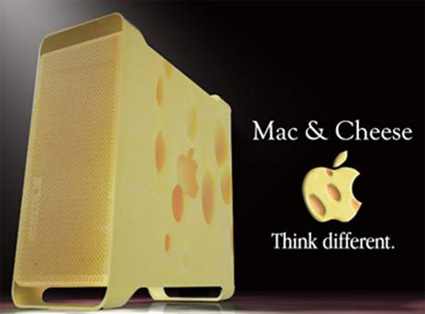 Check out the post on Engadget to see the rest of creative designs and chose your own favorite. We will find out tomorrow if any of the mockups match up with any new Apple products being released. 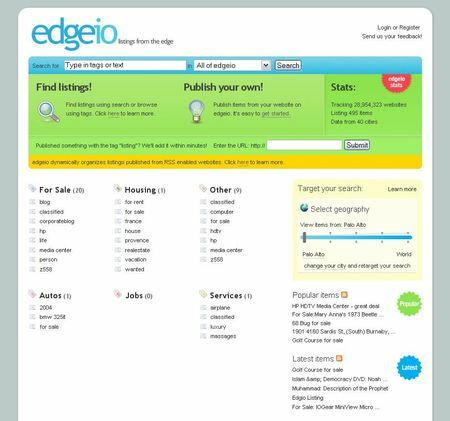 The much anticipated launch of edgeio, an online service which gathers listings from the edge of the Internet, has finally arrived today (February 27, 2006). I have posted about edgeio quite a bit on Somewhat Frank starting back in November [here] and then more recently in February [here, here and here]. You can now visit edgeio and sign-up and claim your blog similar to how Technorati, the blog search engine, allows you to claim a blog. Then anytime you want to sell something online just post it to your blog tagging it as a 'listing.' 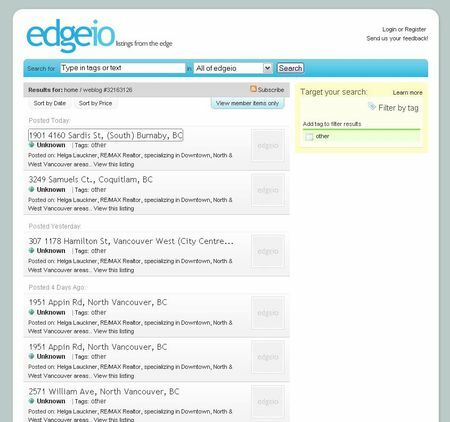 Edgeio will crawl the web looking for your listing and upon finding it will ping you with a trackback ping. The ping will help verify your actions in placing it online and also help fight off spam listings in the edgeio search index. If you want to immediately let edgeio know of a listing you can also simply submit the URL on the edgeio homepage. If the listing is tagged with the 'listing' tag then edgeio should add it to the site. 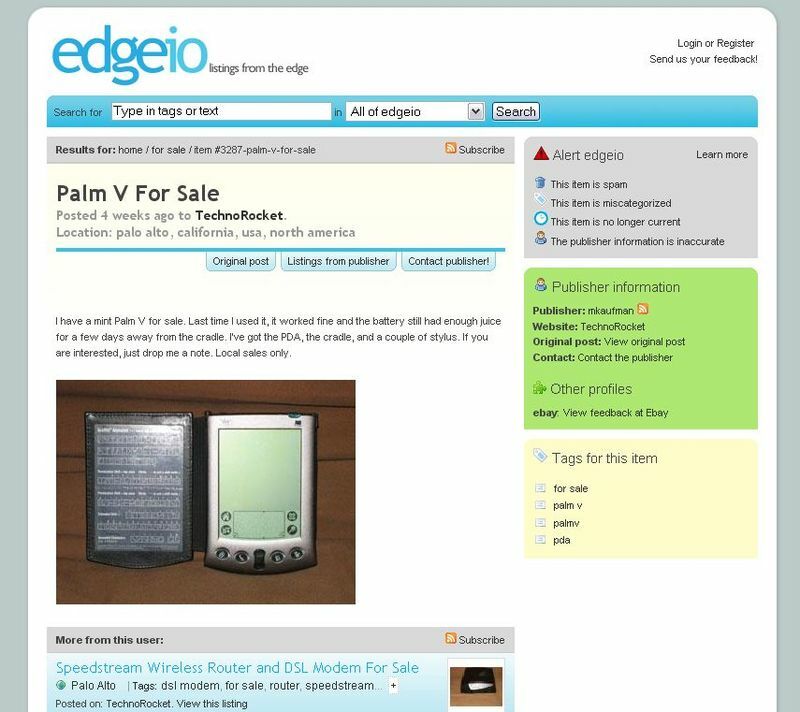 The screen-shot below is the edgeio homepage. Edgeio is not just for blogs though, it is also able to crawl regular websites that are RSS enabled and list the sites ad inventory. 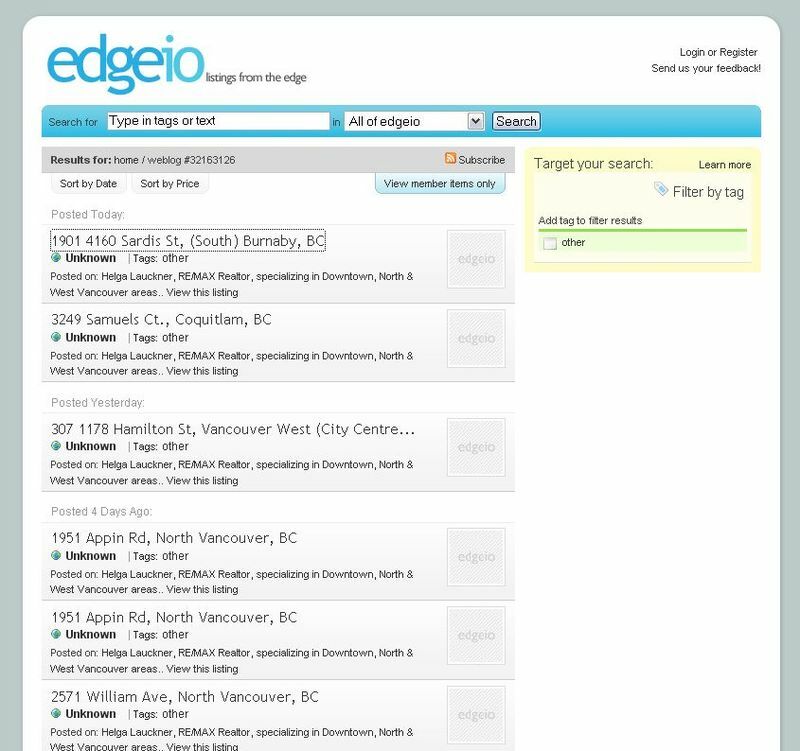 For example, a car dealer or real estate agent with a website may want to upload its entire inventory to edgeio and could do so if the site is RSS enabled and as long as the listings also bear the 'listings' tag. The screen-shot below shows all the listings of a REMAX Realtor who uploaded them via the RSS option I just mentioned. Edgeio could be a good way for website owners to reposition content and drive traffic back to the website listing since each listing provides a link back to the original post or source of the listing. The screen-shot below is a listing detail page. Edgeio is committed to providing its basic service free to publishers and consumers but plans to offer paid services that give publishers even more exposure within edgeio. I would highly recommend giving edgeio a thorough look. It is innovative and incorporates web 2.0 techniques to take online classified listings to the next level, Classified Listings 2.0. For more information on the official launch check out the latest post on the edgeio blog. Also be sure to check out Om Malik's latest post. "A Top Ten List Community"
Tendango offers simple registration and use. I found Tendango to be similar to Listible which I recently reviewed. The key difference between the two is that Listible allows you to create lists of unlimited items while it appears Tendango only allows you to create top 1o lists. I create a quick community list of Favorite Television Shows. Feel free to visit the list to add and rate the your favorite television shows. I does not appear that Tendango currently has a blog so check out the Tendango web site if you are interested in finding out more information. 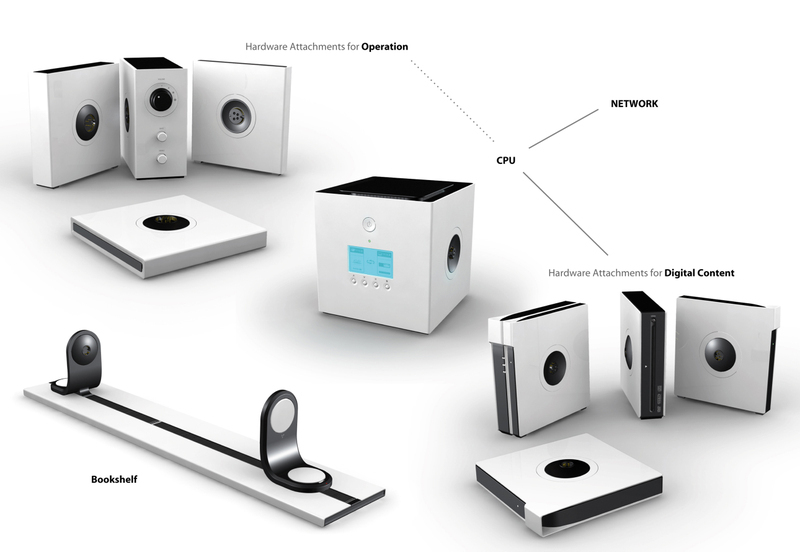 Last month, the Bookshelf PC was just a concept PC produced by two Purdue University industrial designers to win the Microsoft's Next Generation Design PC Competition as explained in this post. Now, only a month later, Engadget and Technorat Soapbox are reporting that the design is going to be produced by Asus. 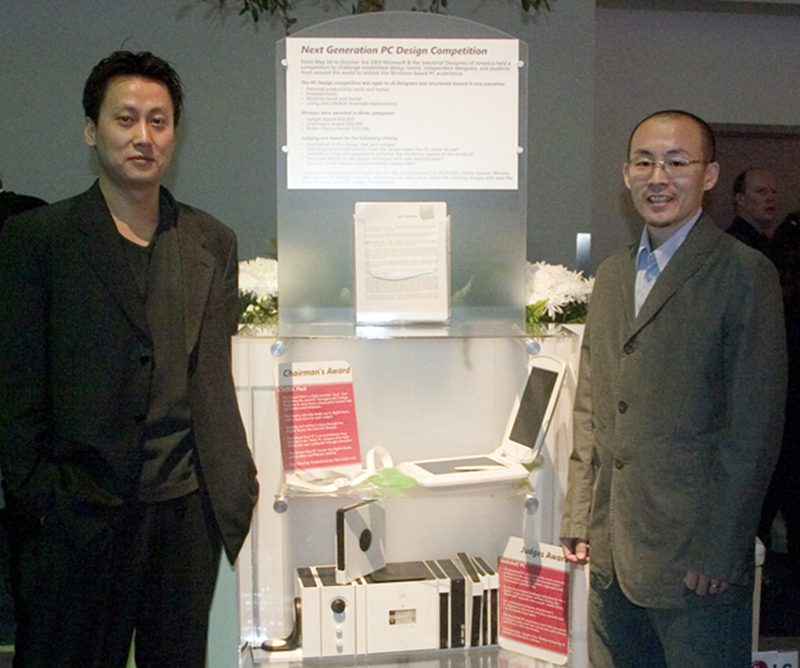 Congrats again to graduate student Sungho "Oho" Son and Scott Shim, a professor of visual and performing arts at Purdue University (my undergrad Alma mater) for taking a concept design and executing upon it. Not only have they won $50,000 via the Microsoft Design Competition but now Asus will be producing the product. There is no word yet if Asus will actually try and sell the component based bookshelf system in mass quantities but my assumption is that they will. We will have to wait and see. "Since it is the Year of the Dog, after all, we're going to say we feel more like 14." I would have to agree the speed of a technology year, especially in the Web 2.0 space, is a lot quicker than other types of business. 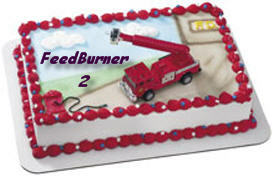 Happy birthday and kudos to FeedBurner for excelling and continuing to grow and adapt in the Web 2.o space. A recent debate has surfaced among the pages of the Chicago Tribune calling into question the longevity of the blogging phenomenon. On one side we have the recent Chicago Tribune editorial, "Bloggy, We Hardly Knew Ye," citing dated 2004 data. Although numbers resound with our society, I have to question the credibility they provide in this case, as the blogosphere has doubled - several times - since then. According to a recent report the blogosphere doubles every 5 months. "It wasn't exactly 'Dewey Defeats Truman,' but the cute valedictory, 'Bloggy, We Hardly Knew Ye,' in a headline atop a Tribune editorial Wednesday seems likely to take a place in history alongside such clouded crystal-ball pronouncements as 'Who the hell wants to hear actors talk?' 'Radio has no future' and 'There is not the slightest indication that nuclear energy will ever be obtainable.'" Zorn uses an unexpected reverse method of persuasion to argue that blogging is more than a fad. Agreeing that, indeed, most people don't read blogs, Zorn postulates that the uncharted territory comprised by this group is actually up for grabs as opposed to inaccessible. In other words, blogging simply hasn't yet arrived as mainstream, but along those lines: what were your thoughts when you heard about the Internet for the very first time... and look where that is now. Personally, I find it refreshing that blogging and its implications has moved beyond simply being acknowledged to actually being debated by and sometimes even influential over media outlets. It's yet another reassuring sign that blogging, citizen journalism, grass roots communications or whatever you want to call it, is here to stay. Blogosphere Tipping Point and Hammertime! The blogosphere is growing at a phenomenal pace adding new bloggers everyday. 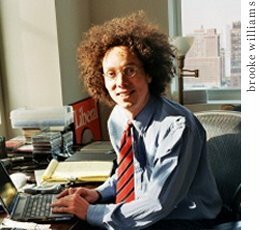 I am pleased to mention today (February 24, 2006) that one of my favorite authors, Malcolm Gladwell, The New Yorker columnist and bestselling author of The Tipping Point and Blink, has launched a blog. 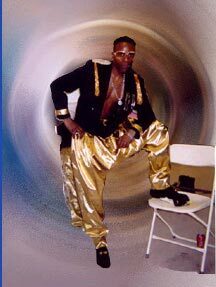 Also I must admit I actually wore hammer pants and performed the running man dance move back in the day in an effort to emulate MC Hammer, the popular rapper known for his baggy pants and crossover dance moves. MC Hammer has also recently launched a blog. Welcome to the online conversations of the blogosphere Malcolm and Hammer. Tip of the hat to Anil Dash for pointing out the blog of Malcolm Gladwell and to Niall Kennedy for point ing out the blog of MC Hammer. *Thanks to gladwell.com for Malcolm Gladwell image and to wanderingbuddist.com for the MC Hammer image. Mashup Camp was this week in Mountain View, California where several companies and developers met up to see what can be created when creativity and function collide to come up with a new mashup applications. The best part of the camp is that it was free! One of the main draws of the camp is contest for the best mashup. Here is a list of the entries and the prizes. Podbop took home the first prize for a mashup that takes event information from Eventful and Upcoming.org and mashes it up with available relevant podcast audio files. There were several reports from camp posted in the blogosphere and even one by CNN. Check out the buzz via Technorati tagged Mashupcamp per day for the last 60 days. It sounds like it was a great event. I will have to try and make it out to the next one. It is no surprise Ask.com, formerly Ask Jeeves, has sent Jeeves into retirement as I posted last fall (September 28, 2005). It just took a little longer than I anticipated for the Jeeves retirement to materialize. Chris Sherman does a thorough job recapping the adventures of Jeeves over the last eleven years. He even points out that Ask.com has created a site dedicated to Jeeves' Retirement. If you visit the site you can send Jeeves best wishes and help him plan his retirement. He is pictured here rolling in his new powerboat and I am a little envious. 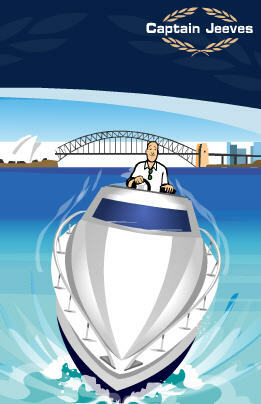 The site is a good spirited effort by Ask.com to make Jeeves departure more fun. I just wonder if we have seen the last of the chubby butler? 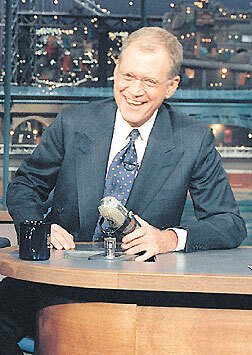 Or will he be coming out of retirement at some point down the road to add a "retro Internet feel" to Ask.com? What you see is what you'll get. You can give the beta a try by going to http://pages.google.com. You just need a Gmail account to sign in. I just did and created this page in a matter of minutes. It was easy. Nik Cubrilovic questioned who Google Page Creator is targeting as its user base. Is Google Page Creator going to try and compete with MySpace and TagWorld or go after the content management systems like Drupal? In any of those cases I do not think Google Page Creator can win, due to lack of functionality. However, I could see Google Page Creator useful for non-technical savvy people who are interested in creating a simple web page to host images or other information. Is this a redo of Yahoo GeoCities? The use of a blog for this type of communication may be more effective though the word "blog" may scare the non-tech savvy people away since web page may be a more easily accepted idea. What do you think? "...we hope that the contributions of Google.org may someday exceed those of Google itself in terms of overall world impact by ambitiously applying innovation and significant resources to the largest of the world's problems." I hope that the addition of Larry Brilliant can help add some ,extremely important, philanthropic experience to the organization since non-profits in general can sometimes be devalued by companies that misuse the non-profit classification to bolster the company image. With the little background information on Larry Brilliant that I have read throughout the media and blogosphere it seems to be a positive move towards its ambitious goals. Technorati Adds Favorites: RSS Reader 2.0? How does the new 'Favorites' feature work? It appears you can claim your favorite blogs or import the blogs you normally monitor via an RSS feed reader. 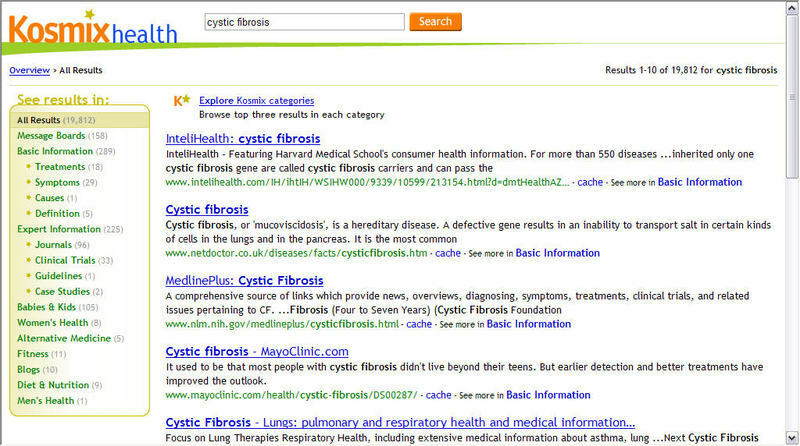 Technorati will then provide you with custom search results based on just the blogs that were noted as your favorites thus custom search results. 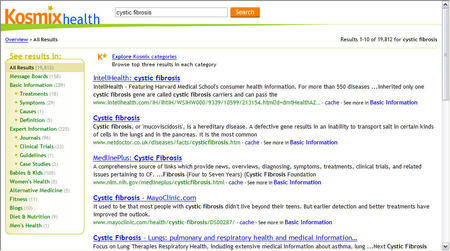 The new feature adds additional value to the Technorati search engine as they continue to make it easier to explore the growing blogosphere. I applaud Technorati for continuing to expand on its core business with additional bells and whistles. I think this is a passive aggressive move by Technorati since the 'Favorites' feature has the potential to directly compete with a number of Web 2.o companies that offer a RSS feed reader or personalized search as its core business. I think I am going to like the 'Favorites' feature since it will allow me to easily see what is new on my favorite blogs from any PC through the Technorati website which I am already accustom to visiting anyway. Though I do not think I will abandon my RSS feed reader altogether since I like to switch up my routine of reading feeds. Check out the official Technorati blog post which further explains the new feature. For additional blogosphere coverage on this new Technorati feature visit the posts by Stowe Boyd, Micro Persuasions and The Social Software Weblog. 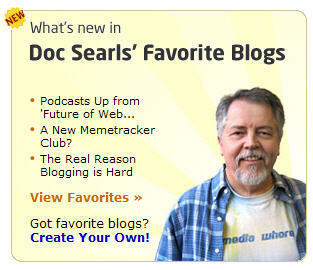 Finally, you could check out some of my favorite blogs here (I say 'some of my favorites' because there is a 50 blog cap on Technorati Favorites) or by scrolling down to the right rail widget that I just added. "There are billions of pages on the web that are useful, but never see the light of day through a standard search engine. 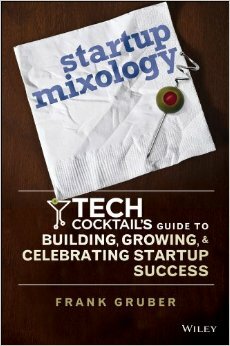 We want to help you find those great pages, and make it easy and fun to do in the process." All of Kosmix searches are extremely approachable and offer a clean and easy to follow layout with search results on the right and search categories on the left. The Kosmix health search results categorized results by treatments, symptoms, more expert information in addition to offering message board results and a number of other categories as shown below. The Kosmix travel search offers results for travel destinations. 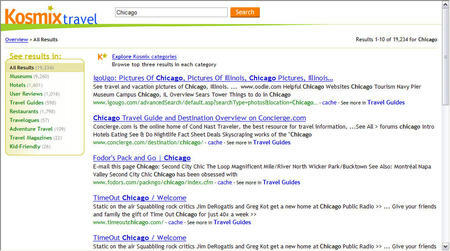 Search results are grouped into categories which include museums, hotels, user reviews and travel guides among others. 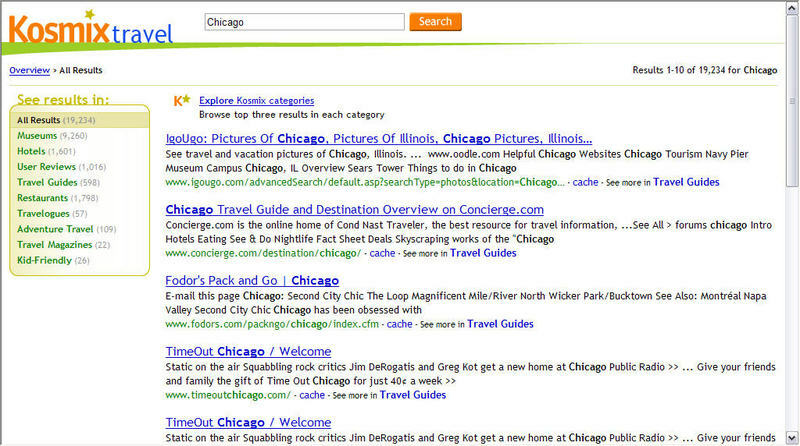 Below is a screen-shot from from a travel search on "Chicago." 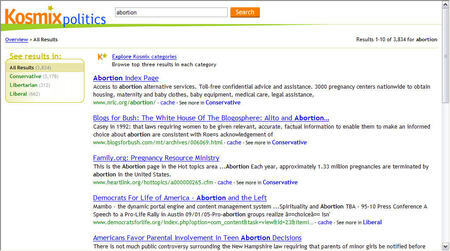 The Kosmix politics search mines for results on that are categorized by liberal, conservative or libertarian. 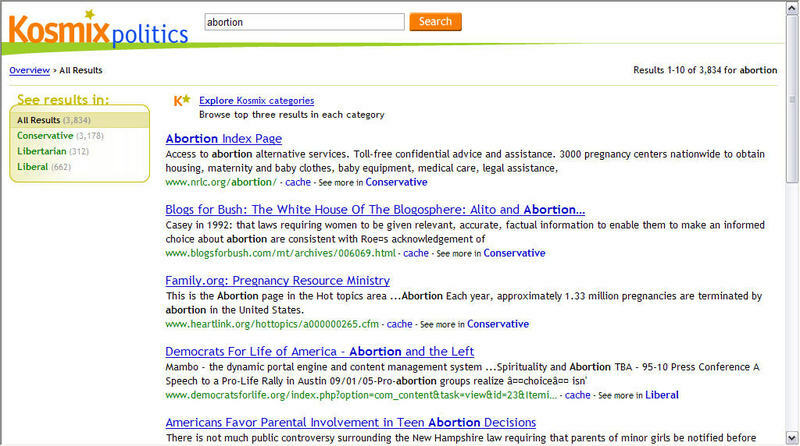 Below is a screen-shot from from a travel search on "abortion." Kosmix is going niche by grouping results in very specific categories, however, based on the messaging on the Kosmix site other categories may be added soon. Additionally, Kosmix has an area on its site set aside for a lab similar to the Google Lab. I wonder what types of projects will be cooking in the Kosmix lab? For additional information on Kosmix check out their media page. Ironically, Kosmix does not have a blog present on its website (I would recommend they create a blog to better interact with users of the search project). For another blogosphere perspective be sure to check out this post by Phil Bradley. Chuquet, an aggregator site that I mentioned in this previous post, helps to both textually and visually track what people are linking to online. 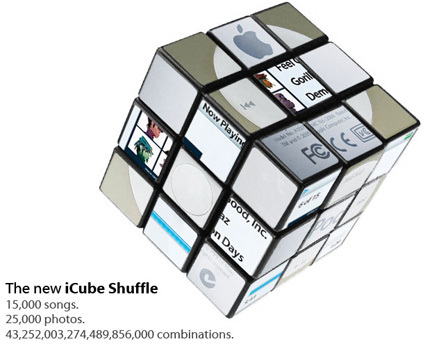 Chuquet assumes that items that are highly linked to are more important thus are part of recent online buzz. 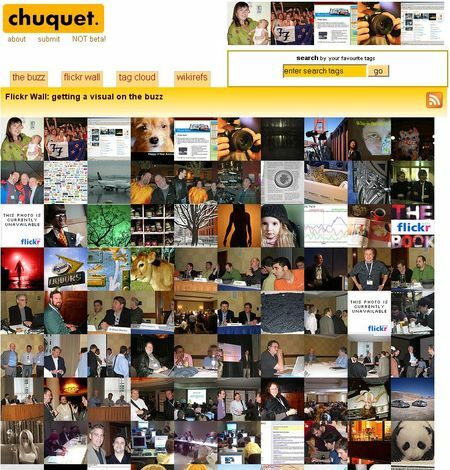 Chuquet also tracks the most popular Flickr photos, most referenced wikipedia entries and most commonly used tags. Each tracked area can be searched and is valuable for one reason or another. My favorite area of is the 'Flickr Wall' of most popular Flickr photos as shown above. 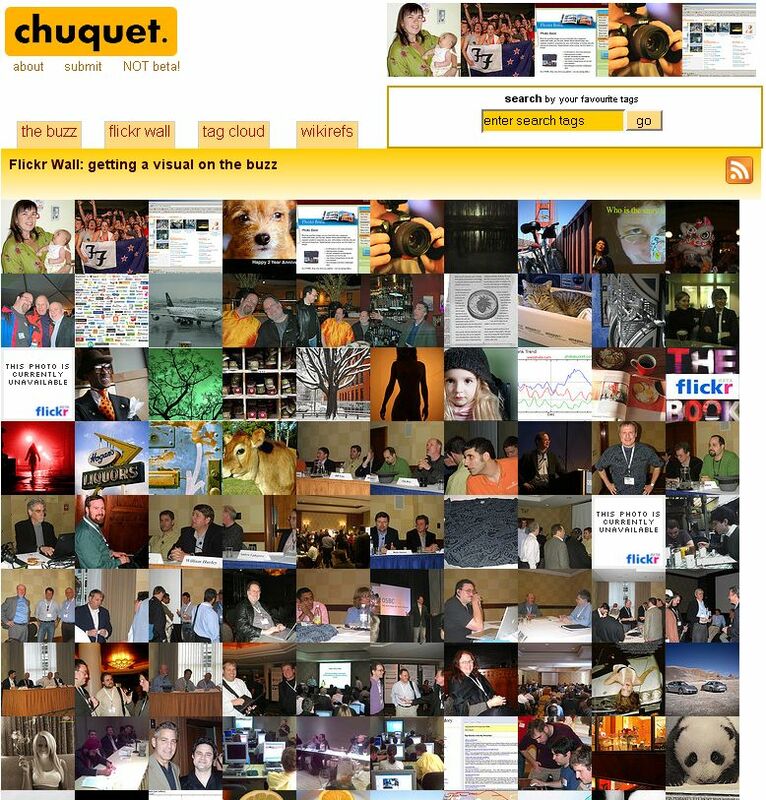 Check out Chuquet for another way to discover fresh and popular online content. Additionally, Chuquet is NOT a beta and there is something to be said for that.